In "Those We Leave Behind", Britt finds 15-year-old Matt Andersen alone on the prairie - the son of an outlaw recently killed in a shoot out. Meanwhile, Jud Corey, whose brother was killed by the outlaw years before, wants his revenge on the boy. 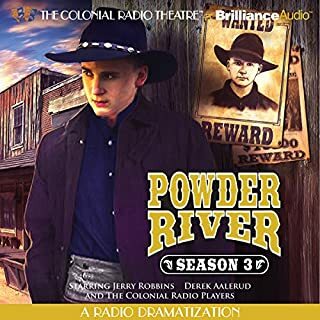 "The Tip of the Hand and the Tell of the Eye"
"Why Dawes Is a Bachelor"
©2012 Jerry Robbins (P)2012 Brilliance Audio, Inc.
What did you love best about Powder River - Season Five: A Radio Dramatization? 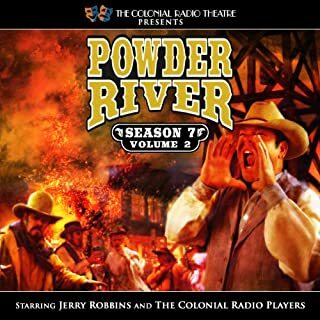 The Powder River series starts off rough: bad acting, amateur writing, production mishaps. However, character development was strong in the first season. 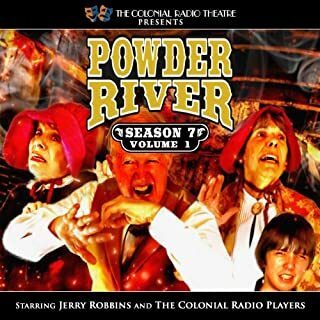 Each season Powder River gets better and better. Even though season 5 is the darkest so far (violence, language) it is the best. After season 1 almost every episode is worth hearing. The acting has gotten so much better it almost doesn't feel like the same show. There are some production errors here and there, but this is one of my favorite shows. 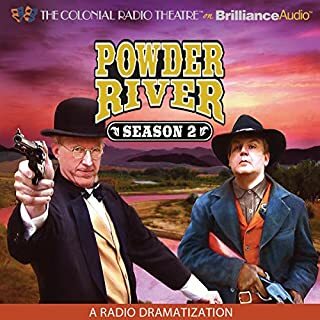 What was one of the most memorable moments of Powder River - Season Five: A Radio Dramatization? Episodes 1-3 are a great way to kick off season 5. Most of the actors are great. 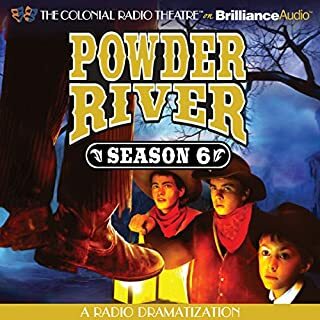 Outstanding production with great voice actors. 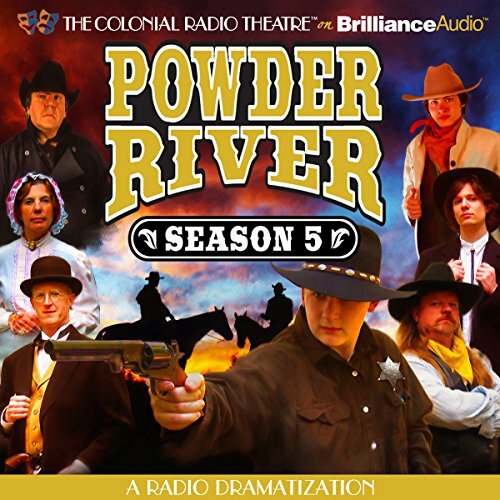 If you could sum up Powder River - Season Five: A Radio Dramatization in three words, what would they be? Character interactions makes you feel at home with your best friends and favorite relatives. They make you forget it is just a story. 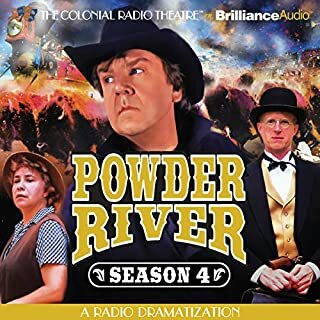 If you could take any character from Powder River - Season Five: A Radio Dramatization out to dinner, who would it be and why? Probably Doc. He'd be a riot in some of the bars I frequent, especially Hanson's Bar in New Rockford, ND. Can't wait for season, six, seven, eight, through season ninety-nine! Anticipation. Can't wait or the next one. If there is any way we can delete the bad words out of the audio, please let us know.